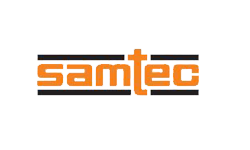 Founded in 1976, Samtec is a privately held, global manufacturer of a broad line of electronic interconnect solutions, including IC-to-Board and IC Packaging, High-Speed Board-to-Board, High-Speed Cables, Mid-Board and Panel Optics, Flexible Stacking, and Micro/Rugged components and cables. Samtec Technology Centers are dedicated to developing and advancing technologies, strategies and products to optimize both the performance and cost of a system from the bare die to an interface 100 meters away, and all interconnect points in between. With 33 locations in 18 different countries, Samtec’s global presence enables unmatched customer service.